Immediate inventory items. Perishable food items, overstocked goods, closeout merchandise. Unused service capacity. Unbooked hotel rooms, open spa appointments, down time at a bar. Instant gratification offers. Quick promotions, fast deals, quick foot traffic. Brand value dilution. The novelty and brand promise not appreciated by new customers. Brand value not fully communicated or achieved by customers. Downward price pressure. Overall perception on pricing trends downward due to lack of scarcity. Customers now see a new price for an existing luxury service. Loss of profitability among existing customer base. Existing profitable customers wait for deals instead of pay full price. Loyal customers feel cheated. So the question is when and how should high end brands use daily deal sites? 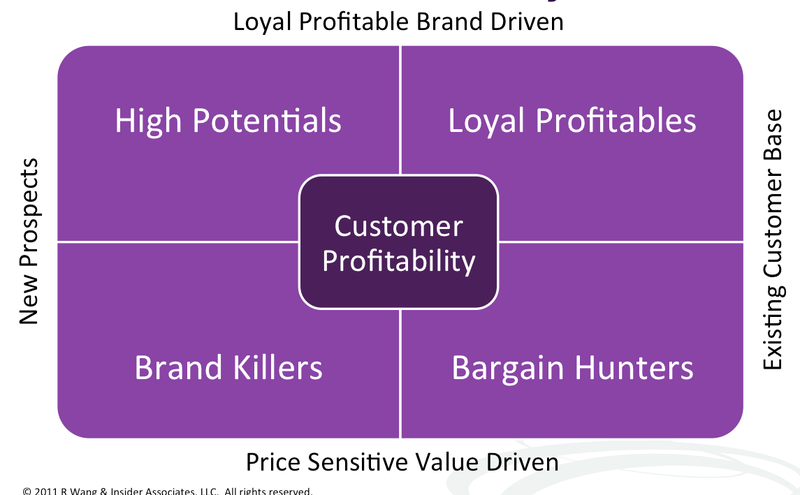 Well, we’ve introduced this customer profitability matrix as a quick way to identify which strategy makes sense. Loyal profitables. These are your best customers. They get the brand promise and they are your avid evangelists. You want to offer them your own daily deal sites outside of Groupon or a closed version of Groupon. The trick is to focus on exclusive deals and rewards for loyalty. Liberally apply gamification models for success. High potentials. These are your best prospects. They need to be introduced to you. Your offers must be designed to be aspirational and invitational. Offers based on price will devalue your brand promise. Use Groupon to bring an exclusive invitation to play, not a value based deal. Keep pricing parity but use an “invite a friend” offer to join. Bargain hunters. These are your existing customers who only buy when a sale or discounted offer occurs. These customers latch on to sites like Groupon and destroy profitability and brand value. Avoid using Groupon to attract any more of these customers. More importantly, understand how to influence this base to mature into Loyal Profitables or politely fire these customers. Apply Groupon offers to bringing a friend in and appealing to the value equation. Leverage the analytics. Limit the frequency to keep a sporadic cadence of offers and balance out profitability. Brand killers. These customers do not represent the brand value but occasionally experiment to associate with high end brands. Sites such as Groupon often bring new prospects but fail to filter out brand killers. Avoid running severely discounted offers without filtering. Leverage analytics from past offers to learn from mistakes. At the end of the day, significant value can be gained from Groupon like services. However, these services should be offered first as a reward to loyal customers. Deliver these to customers as exclusive offers. Engaging in a price war just to get buzz will most likely result in brand value dilution, downward pressure, and lower profitability. Don’t just follow the fad. Be smart, pragmatic, and strategic in your offers. Does this strategy make sense? 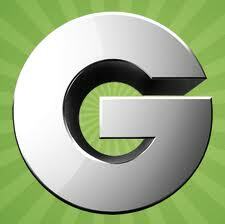 Will you change how you use Groupon? Now ready to put your own daily deal site to use? Ready to share your best practices? Add your comments to the blog or reach me via email: R (at) ConstellationRG (dot) com or R (at) SoftwareInsider (dot) com.